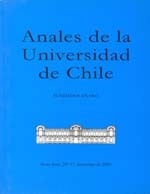 Cavilaciones de Andrenio. Lolas, Fernando. Santiago, Ed. Biblioteca Americana, 2005: 231. The european cable companies in South America before the First world war. The finnish academy of sience and letters, Helsinski, Finland. Ahvenainen, Jorma. 2004:425.